Andre Nocquet was born on July 30, 1914 and he passed away on March 12, 1914. 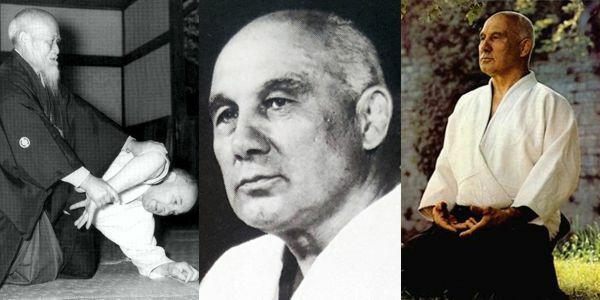 Nocquet was a French aikido teacher holding the rank of 8th dan from the Aikikai. He was one of the very earliest non-Japanese to practice the art of Aikido. In 1954, Andre Nocquet was encouraged by Tadashi Abe to travel to Japan to see Morihei Ueshiba and study at the Aikikai Hombu Dojo. Nocquet stayed for nearly three years, from 1955 to 1957, living in the dojo. This was a difficult time for him as a westerner as there were virtually no other non-Japanese practicing aikido at the time. During Nocquet’s time at Hombu he was the only uchi-deshi, or full time live-in student. Later Nobuyoshi Tamura and Masamichi Noro took up residence there. Nocquet and Tamura, both of whom held the rank of first dan at the time, trained extensively together. He returned to France in the summer of 1958. He practiced alongside Tadashi Abe when the latter came to France. In 1959-1960 Abe returned to Japan, leaving Nocquet to teach aikido in France. Andre Nocquet first hand experience with O’Sensei Morihei Ueshiba was used to write Presence and Message and Aikido: Heart and Sword. O’Sensei Morihei Ueshiba: Presence and Message (1975) was originally published in French in 1975 as Présence et Message and subsequently translated into English in 1994 by Robert Cornman. A collection of reflections on the philosophy of the founder of aikido together with some 80 photos of Morihei Ueshiba, Kisshomaru Ueshiba and Koichi Tohei (amongst other Aikikai. 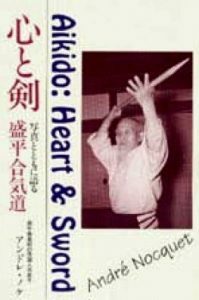 Aikido: Heart and Sword (1991) was originally published in French in 1991 as Le Coeur Épée, and subsequently translated to English in 1996 by Aiki News. The author, Andre Nocquet, trained extensively in Japan, and this book contains some of his perceptions of the teachings of O’Sensei, and the basis of the spirit of Aikido.